Fat Eight Packs in a variety of designs from leading manufacturers. small amounts of fabric but you need a decent variety of them. 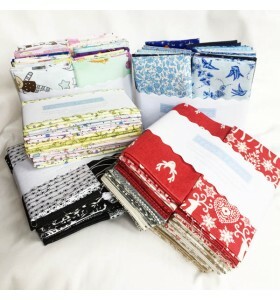 The Fat Eighth Bundles are perfect for Patchwork & Quilting. 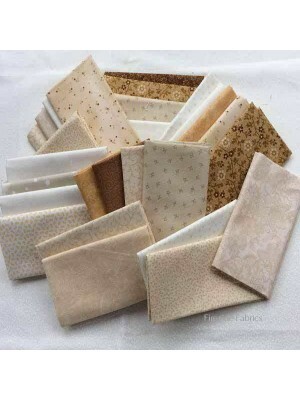 All the packs are 100% good quality cotton fabric. 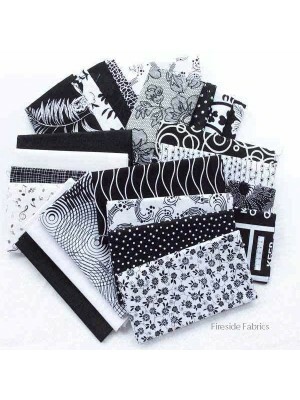 This pack contains 20 different random fat eighths of black and white fabrics 100% Cotton A fat eighth is approx 20" x 11" (51cm x 28cm) Perfect if.. 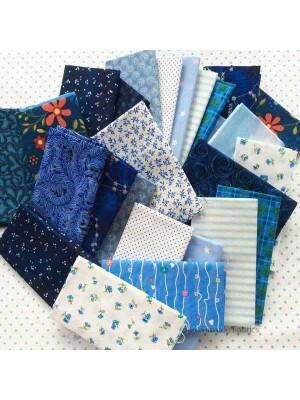 This pack contains 20 different fat eighths of random blue fabrics A fat eighth is approx 20" x 11" (51cm x 28cm) If you need more fabrics but .. 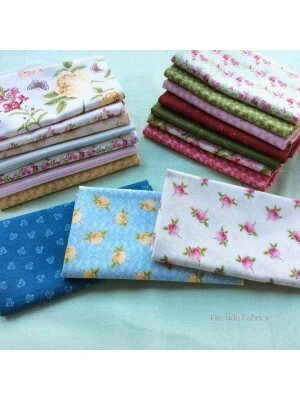 This pack contains 17 different fat eighth floral fabric from The Botanical Collection Pretty floral fabrics in pink, green, blue, yellow and cream .. This pack contains 20 different random fat eighths in varying shades of cream and brown. A fat eighth measures approx 20" x 11" (51cm x 28cm) I.. 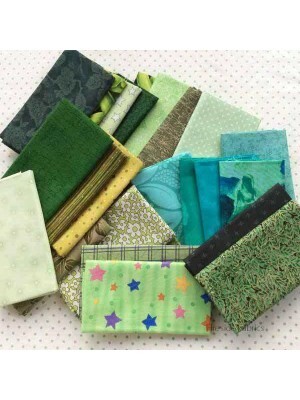 This pack contains 20 different fat eighths of random green fabrics A fat eighth is approx 20" x 11" (51cm x 28cm) If you need more fabrics but.. This pack contains 24 different fat eighths in spot fabric in a variety of colours 100% Cotton A fat eighth is approx 20" x 11" (51cm x 28cm) .. 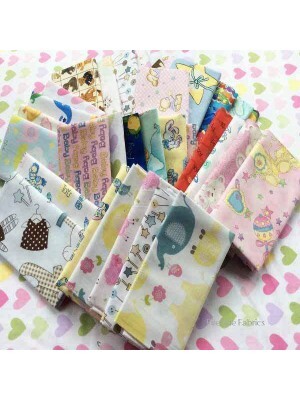 This pack contains 20 different random fat eighths of baby fabrics and co ordinates 100% cotton Each fat eighth measures approx 11" x 20" .. This pack contains 25 different fat eighths of bright fun animals for children A fat eighth is approx 20" x 11" (51cm x 28cm) If you need more fabri.. 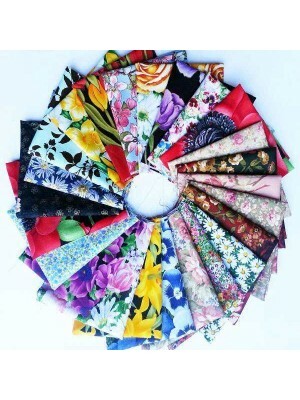 This pack contains 30 different fat eighths of floral fabrics A fat eighth is approx 20" x 11" (51cm x 28cm) If you need more fabric variety &n.. 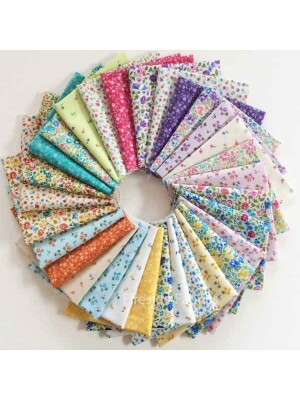 This pack contains 24 different fat eighths of random floral fabrics A fat eighth is approx 20" x 11" (51cm x 28cm) If you need more fabrics bu.. 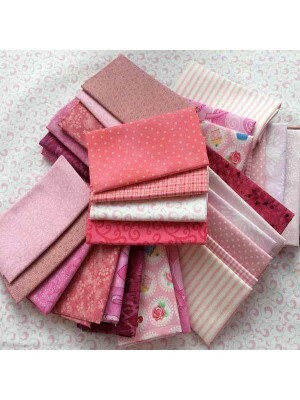 This pack contains 20 different fat eighths of random pink fabrics 100% Cotton A fat eighth is approx 20" x 11" (51cm x 28cm) Perfect if.. This pack contains 20 different random fat eighths of red fabrics A fat eighth is approx 20" x 11" (51cm x 28cm) If you need more fabrics .. This pack contains 26 different fat eighths from the Scandi 3 collection. 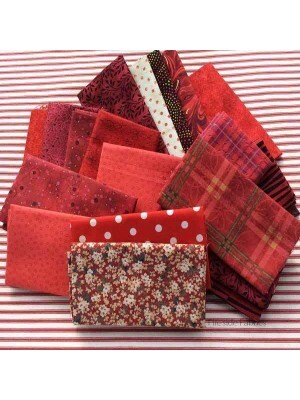 Wonderful variety of Nordic designs in red, grey and hessian A fat ei.. 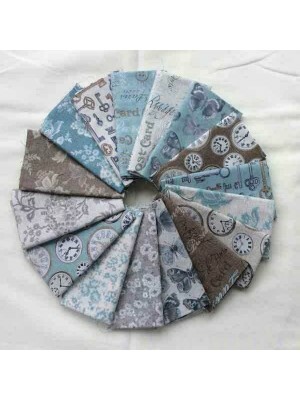 This pack contains 16 different fat eighths from the Vintage Collection in pretty duck egg blue and taupe. It has a shabby chic feel with a hink .. 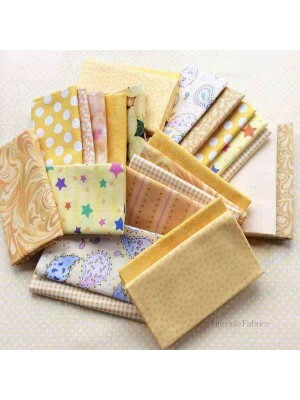 This pack contains 20 different random fat eighths of yellow fabrics 100% Cotton A fat eighth is approx 20" x 11" (51cm x 28cm) Perfect if you a li..